The holidays are nearly upon us, and the last few months have been stacked with new releases from Fantasy Flight Games. Now, as you start picking out games for your wishlist or shopping for your loved ones, we want to make sure you haven’t missed anything. Take a quick look at our recap of some of the hottest new games we’ve released in the last few months and complete your holiday shopping today! The year is 1926, and it’s the height of the Roaring Twenties. Flappers dance till dawn in smoke-filled speakeasies, drinking alcohol supplied by rum runners and the mob. It’s a celebration to end all celebrations in the aftermath of the War to End All Wars. Yet a dark shadow grows in the city of Arkham. Alien entities known as Ancient Ones lurk in the emptiness beyond space and time, writhing at the thresholds between worlds. Their occult rituals must be stopped and these dread creatures must be destroyed. 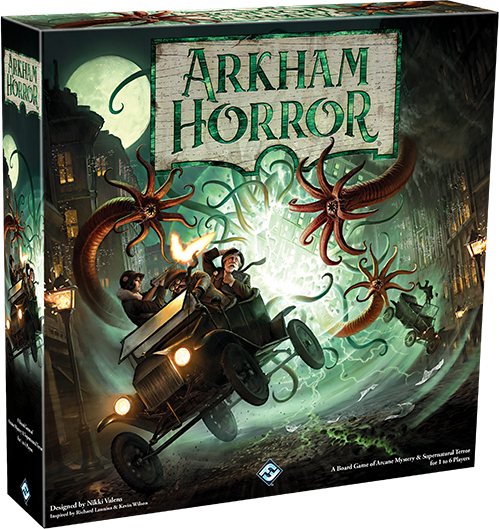 Arkham Horror is a cooperative board game for one to six players who become investigators battling to defeat the servitors of the Ancient Ones. Based on the works of H.P. Lovecraft, players will have to gather clues, defeat terrifying monsters, and find tools and allies to stand any hope of defeating the ancient creatures that exist just beyond the veil of our reality. Pick up Arkham Horror at your local retailer or online through our webstore! 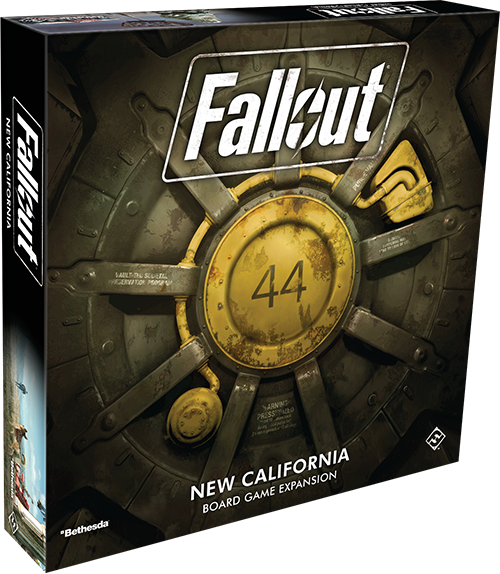 You can pick up New California or Fallout: The Board Game at your local retailer or online through our webstore! Strike back at the foes of the realm in Heroes of Terrinoth! In the Free Cities, the Bloodguard sows discord, while in the Mistlands, the dead rise from their graves. Now, the realm turns its eye to you and your team of heroes in search of saviors. In this cooperative card game of questing and adventure, one to four players take on the roles of unique heroes who must unite to face deadly villains, navigate treacherous terrain, and defend the realm to earn fame and fortune! Terrinoth needs champions—do you have what it takes? 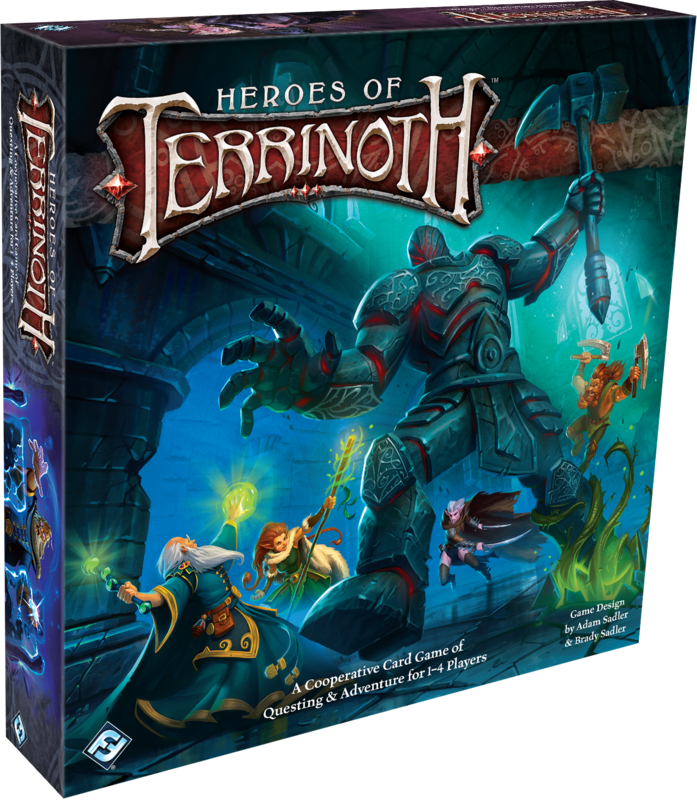 You can find Heroes of Terrinoth at your local retailer or online through our webstore! You awaken with a splitting headache and no idea of how you got here. The wilderness stretches in every direction, and something howls in the distance. Your quest for answers will have to wait; first, you need to survive. Will you help the others stranded here or will you save yourself at any cost? When two to four players find themselves marooned in the harsh wilderness, you must cooperate and compete to search for water, food, and tools that will be essential to your very survival. But your adventure holds many secrets. Discover: Lands Unknown is a Unique Game, and every copy of Discover: Lands Unknown is unlike any other in the world. A mix of environments, storylines, characters, locations, items, and enemies have been engineered to tell a story unique to every copy of the game, thanks to an algorithm that ensures no two copies are alike. Your adventures will be your very own as you struggle to survive in the heart of the wild. 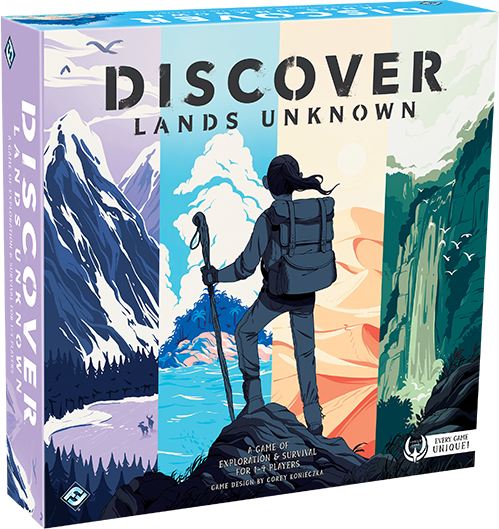 Pick up your own copy of Discover: Lands Unknown at your local retailer or online through our webstore! It is an era of sudden change and upheaval in the realm of Rokugan. Mortal schemes, natural calamities, and celestial turmoil alike have disrupted the political, military, and spiritual equilibrium of the land. Long-simmering rivalries and fresh betrayals ripple through the courts and on the battlefield. The Chrysanthemum Throne is beset by threats from without and within, and the honor of the seven Great Clans shall be put to the test. Who among the clans will prove strong enough to guide Rokugan in these tumultuous times? Will their names be lifted up beside those of the honored ancestors, or will they fall among the ranks of the empire’s most infamous villains? This is the stage of the Legend of the Five Rings Roleplaying, a roleplaying experience in the world of Rokugan. 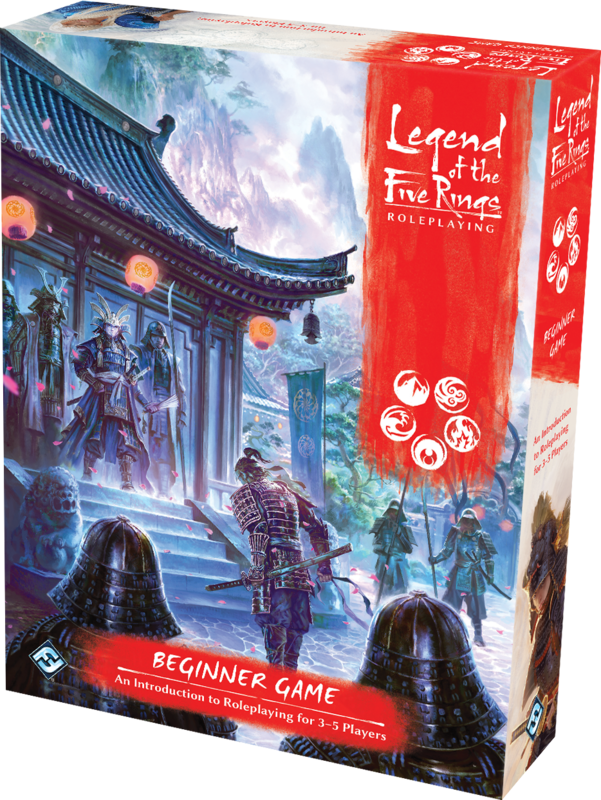 If you’re new to roleplaying the Beginner Game is the perfect place to get started with advice for players and new Game Masters, and with the Core Rulebook, you can take your adventures in Rokugan to the next level with detailed options for creating your own characters! 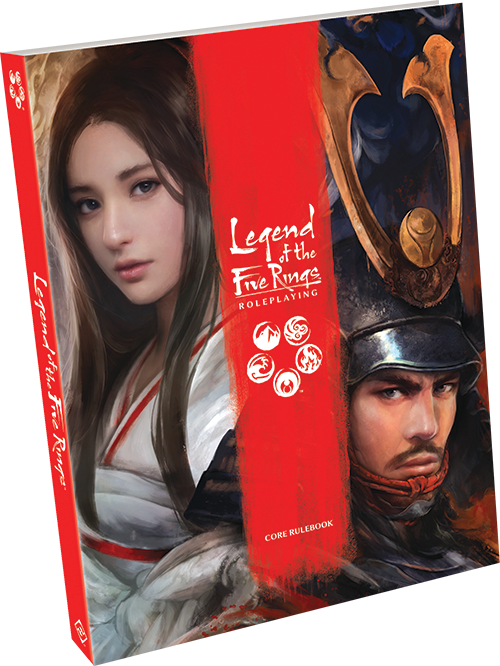 Pick up your copy of the Legend of the Five Rings Roleplaying Beginner Game or Core Rulebook at your local retailer or online through our webstore! Enter the next era of interstellar combat in the Star Wars galaxy! 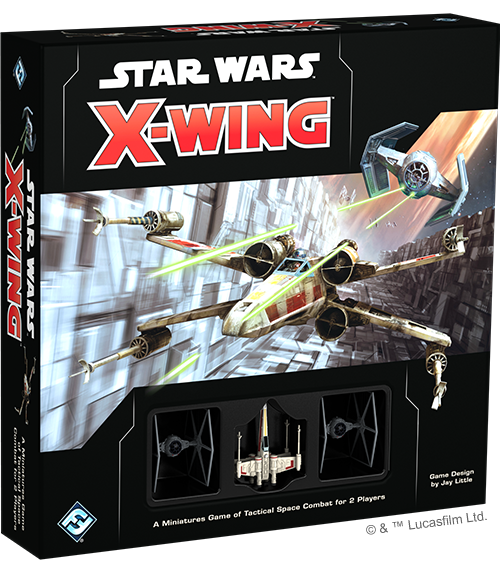 In the second edition of X-Wing™, you assemble a squadron of iconic starfighters from across the Star Wars saga and engage in fast-paced, high-stakes space combat with iconic pilots such as Luke Skywalker and Darth Vader. With refined gameplay that focuses on the physical act of flying starships, X-Wing lets you create your own Star Wars space battles right on your tabletop. Intuitive mechanics create the tense atmosphere of a firefight while beautifully pre-painted miniatures draw you deeper into the action. Man your ships and enter the fray! Pick up your copy of the X-Wing Core Set at your local retailer or online through our webstore, and look for the expansions of Wave II at your retailer soon! 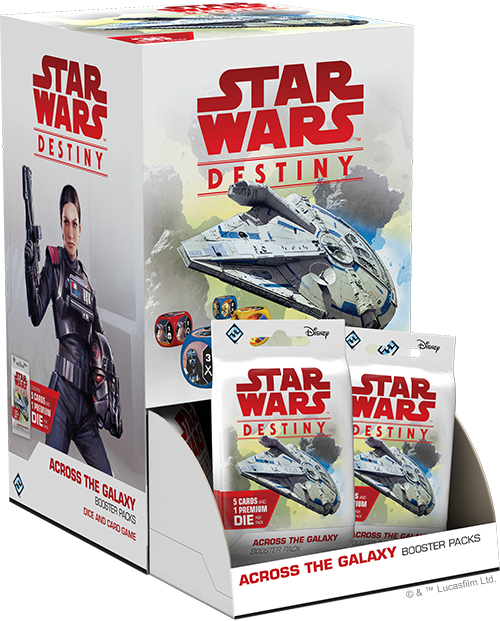 Pick up Across the Galaxy booster packs at your local retailer or online through our webstore! In the depths of space, the alien races of the Cosmos vie for control of the universe in Cosmic Encounter. Alliances form and shift from moment to moment, while cataclysmic battles send starships screaming into the warp. This classic game of alien politics returns from the warp once more. Features 51 aliens, flare cards to boost their powers, Cosmic Combo cards with suggested pairing of aliens, 100 translucent plastic ships, a host of premium components, and tech cards that let players research and build extraordinary technological marvels. 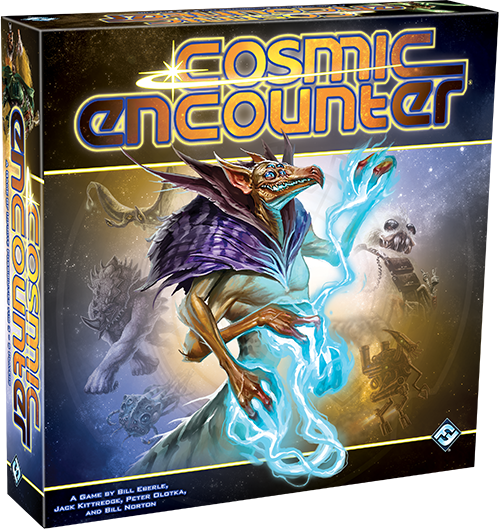 Pick up your copy of Cosmic Encounter at your local retailer or online through our webstore! 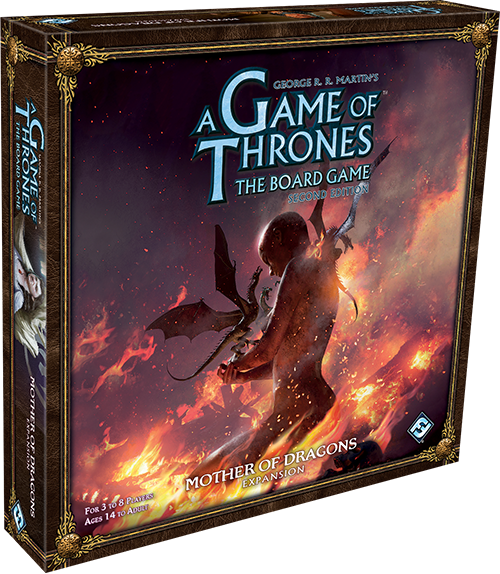 Cross the Narrow Sea with the Mother of Dragons expansion for A Game of Thrones: The Board Game! Clawing their way into power, this expansion includes a side board of the Free Cities of Essos and an overlay of the Eyrie, as well as new characters and mechanics to bring House Targaryen and House Arryn into the fray. As you make your claim to the Iron Throne, you can call other Houses to your cause or even ask for aid from the Iron Bank of Braavos. Pick up your copy of A Game of Thrones: The Board Game at your local retailer or online through our webstore, and look for the Mother of Dragons expansion, coming soon to your retailer! Leading their diverse teams, filled with followers from three of the Crucible’s great Houses, the Archons must gather Æmber, stave off their opponent’s progress, and ultimately be the first to open a Vault and gain its incredible knowledge. With a vast array of creatures, artifacts, and abilities, and over 104 quadrillion possible decks, every deck is completely one-of-a-kind, and no two battles will ever be the same! 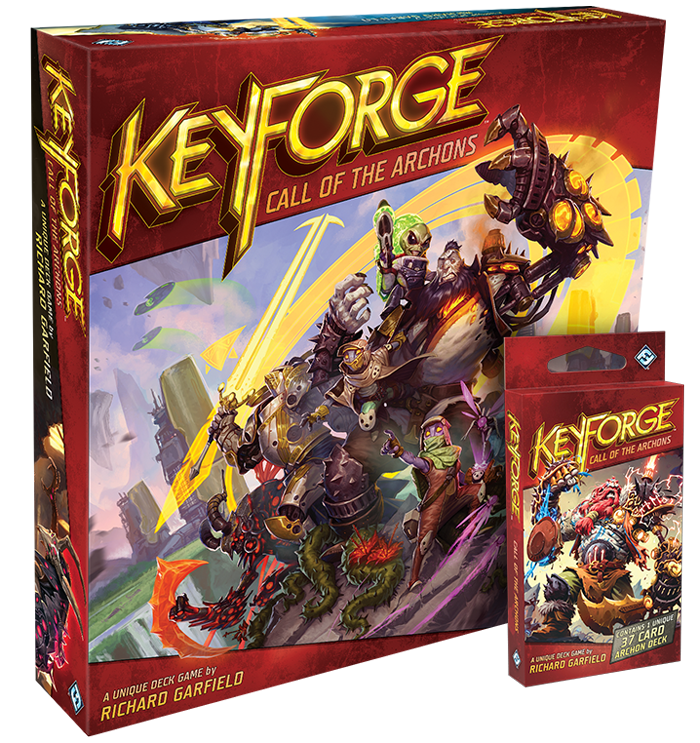 Pick up your KeyForge: Call of the Archons Starter Set and Archon Decks at your local retailer! Take a look at our latest releases, including Arkham Horror, Discover: Lands Unknown, and KeyForge, for the latest and greatest games to fill out your holiday wishlist!